Carter's international growth led to more than 250,000 unique product SKUs. Most products have a short lifecycle and turn over in three to six months. The retailer needed a new solution to keep up with the number of products and quick turn time. Despite continued sales success, Carter's, the largest branded marketer of young children's apparel in North America, faced challenges managing its sprawling, complex supply chain system. In particular, the company's outdated inventory management system wasn't sufficient to tackle the immense task of providing effective data processing and inventory visibility. In response, Carter's turned to Anaplan, a San Francisco-based company that provides a cloud-based business planning and performance management platform based on a single hub where business users can create and utilize models. Carter's and Anaplan collaborated to implement a solution that would improve the accuracy and flexibility of Carter's inventory management, and support more informed supply chain decision-making. 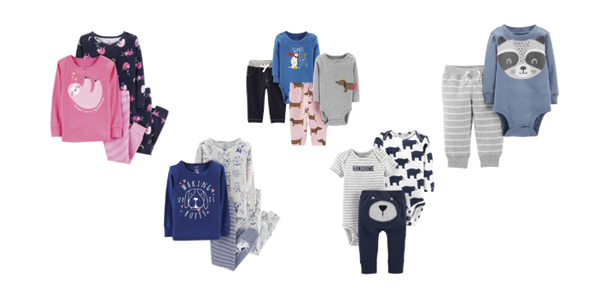 Carter's includes children's apparel brands Carter's and OshKosh B'gosh, among others, and features a sales mix of 60 percent retail and 40 percent wholesale. In addition to operating 800 branded retail stores, Carter's sells its apparel through large retailers such as Sears, Kohl's, and Macy's.